Bonus video footage from volume 1 of the Siskiyou Line series! Watch full runbys (from the locos to the caboose) of the trains featured in this video. Runby's include: 1: Opening overhead shot at the North Umpqua river bridge; 2: Trackside of the Siskiyou Line West as it approaches Roseburg; 3: Coos Bay Hauler West rolling over Slater Creek trestle; 4: Coos Bay Hauler East over the Coquille River high trestle, side view; 5: Coos Bay Hauler East over the Coquille River high trestle, view from below; 6: Coos Bay Hauler East exiting tunnel 3 east portal; 7: Coos Bay Hauler East crossing King Creek and rolling through Remote, Oregon. Nice video, really appreciated the subject material, the scenery, and even the music. 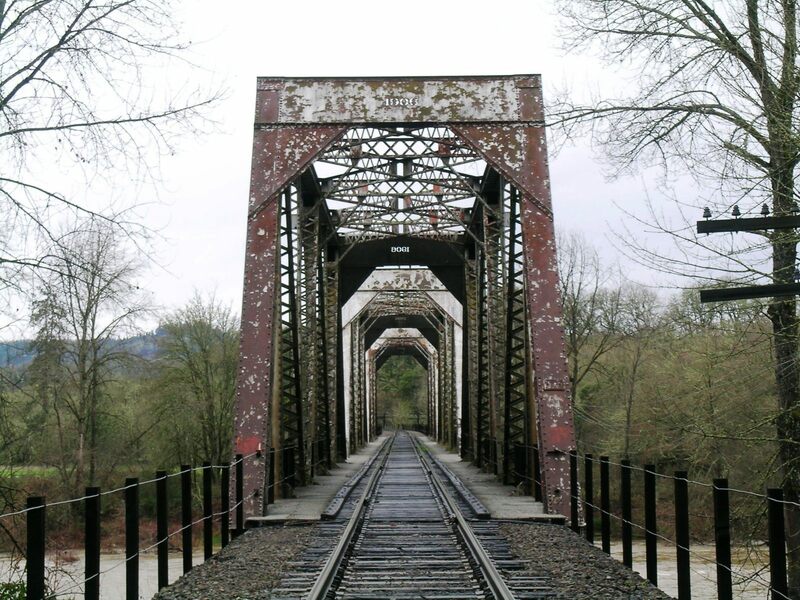 The only thing that stuck me in the eye was the lack of guardrails on the truss bridge, that just stood out. The scenery was wonderful. I'm jealous! Interesting. Now that begs the question why do some have them on the SP and others don't? All the similar bridges I've seen in So Cal have those guards (of course I've not been everywhere either). Oh, and I guess thats why it looks out of place to me, I was not commenting negatively on your nice modeling; although through the miracle of voiceless communication it may have seemed that way. My theory as to why there's no guard rails is because this is the Siskiyou Line, not the SP main. The Siskiyou Line is a secondary line that was the original main line from northern California to Eugene, Oregon until the late 1920s when the Natron Cutoff (Willamette Pass) replaced it and relegated the Siskiyou Line to secondary / branchline status. I don't believe the Siskiyou Line, when it was the mainline, had guardrails on bridges by the late 1920s, and then when the line was downgraded from mainline status, adding guardrails just never was a priority.